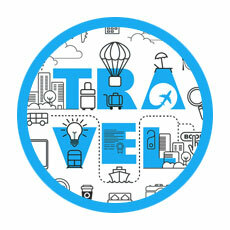 We are constantly looking for new ways to make traveling the world easier. From putting technology to work to finding great local travel advice, we share one of our favorite tips every month in our newsletter. Twice a year we combine a few to create our Smart and Savvy Travel Tips guide to help you make the most of your vacation time. Our latest installment are tips only our subscribers have seen so far—we hope they make your next vacation a little easier to plan! When researching the museums, restaurants, and sightseeing spots you don’t want to miss on your vacation, it’s easy to keep a running list of what you want to see and do—but it’s a lot harder to figure out the most efficient way to squeeze it all in! That’s why we love Google MyMaps, which allows you to create custom maps that display the locations you want to see. 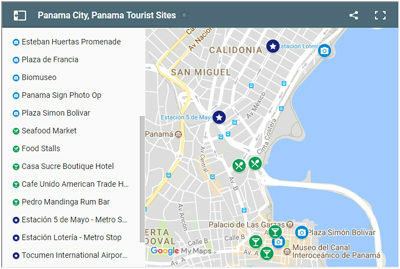 Our Panama City post is a great example of how we use Google MyMaps to plan our trips. When planning a trip, create a map by entering the name or address for every stop you plan to make. The map can then help you figure out your best route; you’ll save time by finding a linear path or by spending an afternoon focusing on a single neighborhood near the highest number of map items. Looking for a hotel near sites you want to visit? Create a map and use that to identify the closest hotels! We also love how Google My Maps is customizable: you can add map layers for different destinations on a single trip and color code icons so they are easy to spot. If you’re looking for a great visual organizational tool, Google My Maps might make your vacation planning a lot easier! It’s happened to all of us: we’ve overslept and missed a train or a tour. We’ve been rained out on a day we wanted to spend at the beach. If your plans fall apart—whether for reasons within your control or outside of it—having a backup plan just might save your day! If you’re the type of traveler who loves to have a day-by-day itinerary that carefully plans out your time, losing a day to an unscheduled challenge can be tough to handle. Consider putting together a “Plan B” list of activities that you would enjoy but wouldn’t prioritize over your “Plan A” itinerary. That way, if your day-long nature hike gets rained out, you will have a list of alternative activities that you can seamlessly incorporate to ensure you have something fun to do. 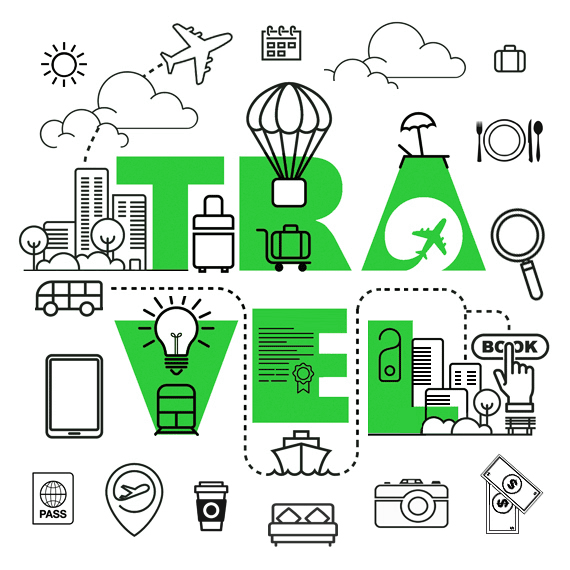 If you prefer traveling without a set itinerary, rely on hotel staff, a tourism office, or a friendly local resident to suggest a few great options. Don’t let surprises throw your vacation off course: have a backup plan for how to use your time! When you research flights, chances are you visit one of the major travel search engines or a preferred airline to look up schedules and prices. 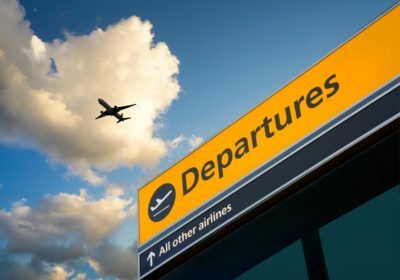 If you aren’t committed to a certain airline or alliance and have some flexibility in how you can travel, visit the website for your destination’s airport and take a look at the origin airport for arriving flights. You’ll see airlines you recognize, but you may see smaller, low cost carriers that won’t appear through search engines. That could lead you to a great deal you otherwise would not have found elsewhere—but be sure to understand the fare you are purchasing and what is included or not included (like checked luggage or meals) before you make your purchase. Instagram can be much more than just a social network or a way to share photos with your friends: it can be a terrific trip planning app! Before you travel, look for hashtags that will help you uncover photos taken of the landmarks, buildings, and other spots you want to visit. You’ll get to see some of the angles and styles other photographers use, which can inspire you to get the pictures you want. You’ll also get a sense of where you might need to go to get your perfect photo; study the pictures you see to learn about the layout of the area before you arrive so you don’t spend too much of your valuable time scouting out the right spot. During your vacation, Instagram can be a great tool to know what conditions are like in real time. By looking at the photos that were most recently published, you might get a sense of how crowded it is, what the weather is like, or if there are any challenges that might impact your visit. When checking Instagram before visiting Buenos Aires, we knew the Casa Rosada was surrounded by fencing as the Plaza de Mayo underwent construction. It didn’t stop us from visiting, but it did help us set realistic expectations for what our experience would be like. Put Instagram to use when planning your next trip! NEED WIFI? FIND A STARBUCKS! Chances are you’ll see these everywhere when you travel. Put them to use for more than just coffee! We live in a world where access to the Internet is an everyday necessity, which can make international travel difficult if an overseas wireless plan is too expensive or restrictive to meet your needs. When it comes to finding free wifi, look no further than your local Starbucks to restore your connection to friends and family! Most locations offer free wifi for patrons, so for the cost of a coffee or muffin you can use their wifi for as long as you need it. Starbucks has saved us at least three times when we were abroad. When we were in Poland and our international data plan was unavailable, we dropped into one of the ever-present Starbucks to use their wifi and confirm our tour location. More recently, in Buenos Aires, Argentina and Santiago, Chile, a Starbucks saved the day when we couldn’t connect to either the local cellular provider or airport wifi. 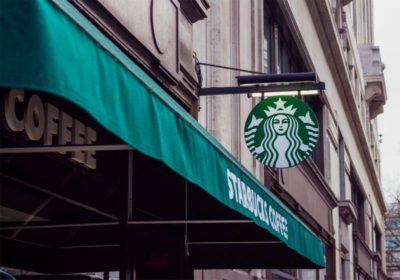 Although we try to avoid US-based and global chains when we travel in favor of more local options, we can’t deny how helpful it has been to encounter a Starbucks during our travels. If you find yourself in need of an internet connection while traveling, chances are Starbucks will be able to get you back online! These days it’s almost unheard of to travel without a little technology. Between laptops, cell phones, tablets, and cameras, travelers are constantly taking photos and writing down observations and notes about what they see and learn. That’s why having a backup plan for your pictures and documents is so important! Accidents happen—you might leave your cell phone on a restaurant table or your iPad on a plane or train. Theft can also happen (even to the most careful travelers!). Consider how you can store duplicate copies of the files and photos you don’t want to lose. If you have access to the internet, cloud storage can be a great, convenient option. If you don’t have reliable or secure internet access, consider traveling with a USB drive or a hard drive that you can store in a hotel safe or a locked suitcase away from your other tech items. Having a backup plan for your documents and pictures will give you both peace of mind and possibly save your vacation memories if you find your phone or computer is lost, stolen, or breaks while you are on the road. Visiting a new city can be a little daunting—trying to figure out where to go, where to eat, and what to see can overwhelm even the most seasoned traveler. If you are looking for a local’s perspective, talk to the staff at your hotel. Hotel staff get asked about sightseeing, transportation, and restaurants all the time, which means they will have both tried-and-true advice to share as well as their own unique ideas and perspectives. It might seem obvious, but many people forget that there’s a wealth of knowledge right at the front desk! Hotel front desk staff can be a great resource for tourists! What is your favorite tourist attraction in the city? What is an off-the-beaten-path spot most tourists don’t know about? What restaurant do you go to on your lunch break? If you had a day off to sightsee, how would you spend it? 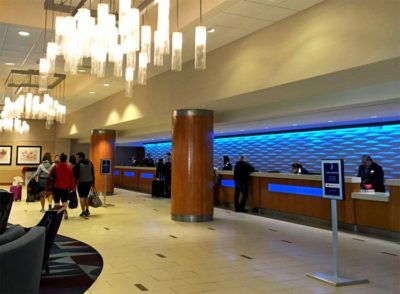 If your hotel has a concierge, that can be a great start, but don’t overlook the front desk staff, restaurant staff, or housekeeping staff. Many of them will be very eager to share their advice and tell you about their favorite parts of the city. Before long you might just feel like a local! Have you used any of these tips on your travels? 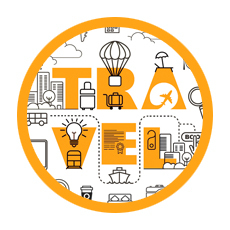 Are there any additional tips or travel advice you would like to share with us or ask us to try? Leave a comment below and let us know! 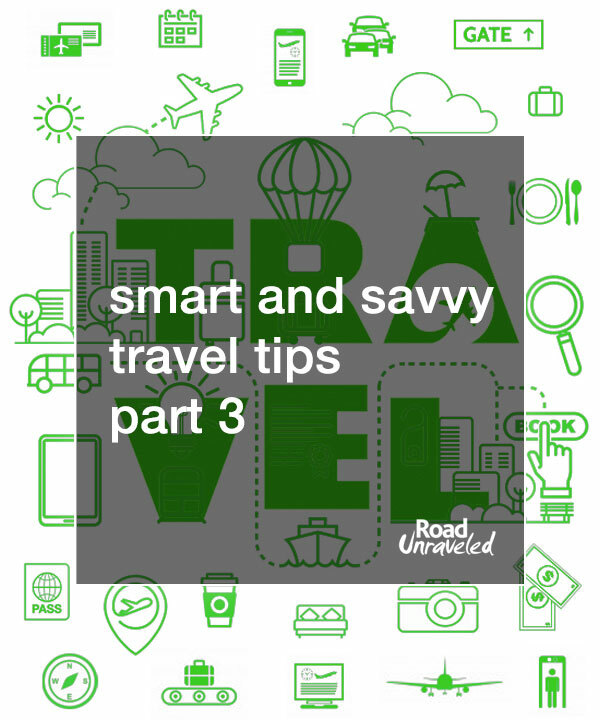 Also, be sure to check out the other articles in our Smart and Savvy Travel Tips series to catch up on all of our recommendations!